If you’re familiar with OS X Lion, you’re probably aware that the new system is no longer sold on a physical optical medium. For recovery purposes, users can simply hit the Command + R key combination at bootup, but what if that feature fails for some unforeseen reason? Using this tool is as simple as launching it, plugging in your external drive and following the on-screen instructions. Keep in mind, however, that all the data in the said drive will be permanently erased unless you move them to a new partition, which you can do from Disk Utility (which you can get to by launching the Disk Utility app inside the Utilities folder from within Launchpad). You should also keep in mind that if this process is successful, the external hard drive should neither show up on Finder or Disk Utility: that’s normal. You’ll still be able to boot off it when you by pressing the Option (Alt) key when you hear the boot chime when you start up your Mac. Should you grab this tool? If you happen to have an external hard drive lying around, it won’t hurt. In most cases, however, it might not be that worth it since all these tools are already stored in Lion’s hidden recovery partition, which is accessible by pressing Command + R when powering up the computer: this tool merely copies the contents of the hidden Lion boot partition and to another drive. OS X Lion includes enhanced recovery tools that make repairing a broken system easier than ever. For the first time, Recovery Mode allows users to load up a browser-only mode which can be used for diagnostics or looking up support information. 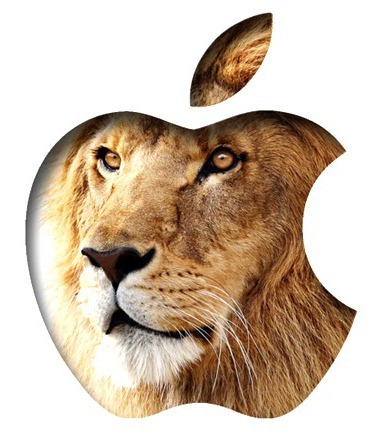 Moreover, users are also given the option to download a fresh copy of Lion, which can be installed on the spot while preserving all the user’s data and likely addressing any software problem. 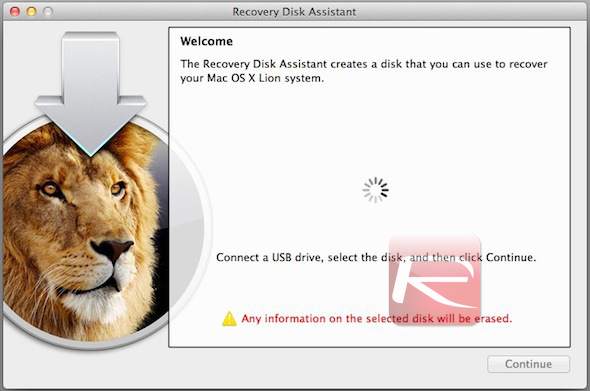 Download Lion Recovery Disk Assistant from here.